Belmont was one of Working for Worcester's largest, and most complex, renovations and mobilized over 50 volunteers (dozens of college football players) to transform the schoolyard space. 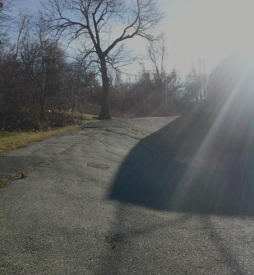 Prior to the revamp, the schoolyard was merely an asphalt perimeter around the back of the school, with a lot of brush hangover from the woods behind it. 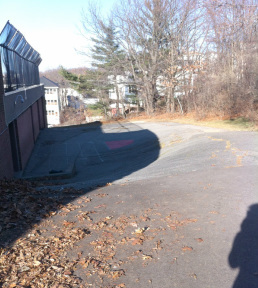 WforW had a vision to enhance all the asphalt with colorful hopscotch, foursquare, and other games. In choosing the blacktop games, we were careful to select those that would encourage numeracy and literacy among the kindergarten and elementary children playing on them. Finally, we also installed four permanent basketball hoops along the back of the building and completed the space by painting shooting keys and three-point lines. After tackling the asphalt, WforW realized that it needed to create some sort of a play space to serve the energy and huge smiles of the kids at Belmont. To start, we cleared two grass play spaces of brush and graded them. After landscaping the perimeter with arborvitaes and rhododendrons, we covered the areas in certified PlaySafe playground mulch! Then we built a jungle gym playground, equipped with monkey bars, a balance beam, parallel Bars, and two spring riders. We painted the structures and opened the new playground to the fantastic kids of the Belmont Community School neighborhood! The volunteers and community were incredible all throughout the planning and construction process. Cite manager Christin Di Scipio planned and coordinated all aspects of the Belmont Street School project. To learn more about Christin and the rest of the project's managing team, click here.